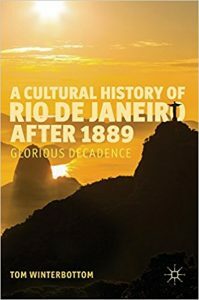 This book studies architecture and literature of Rio de Janeiro, the “Marvellous City,” from the revolution of 1889 to the Olympics of 2016, taking the reader on a journey through the history of the city. This study offers a wide-ranging and thought-provoking insight that moves from ruins to Modernism, from the past to the future, from futebol to fiction, and from beach to favela, to uncover the surprising feature-decadence-at the heart of this unique and seemingly timeless urban world. An innovative and in-depth study of buildings, books, and characters in the city’s modern history, this fundamental new work sets the reader in the glorious world of Rio de Janeiro.